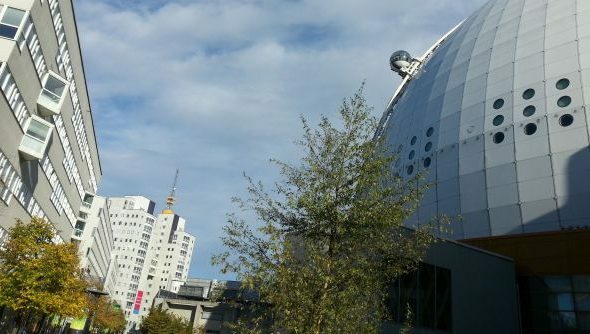 If there were any worry that DreamHack would lose some of its unique allure in its move from the Swedish provinces to the capital, that doubt dissolved like the snow in Jönköping about a minute and a half after I lost my hotel keycard at the Stockholm Globe Arena. I spent the 10 floor lift journey down to the lobby working up the grovel in my voice, but needn’t have bothered. 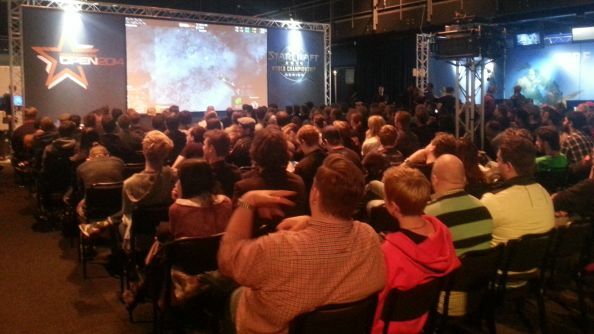 This is what DreamHack do: inclusive, wide-eyed events. Their feet are in PC gaming, and their heads filled with ideas for bettering eSports, the Scandinavian games industry, and themselves. DreamHack has made its Stockhome in a great golf ball of an arena, situated in an artificial district built to the tastes of outdoor level designers from the late ‘90s – sparse, pedestrianised and utterly flat. The Globe represents the sun in Sweden’s national Solar System – a series of spherical landmarks dotted around the country. If DreamHack are looking to pull the Scandinavian gaming community together, it makes sense that they’d come here, to the very centre. But DreamHack didn’t start here, as the simultaneous host of the Hearthstone European Finals, an international StarCraft Open and a 100,000 SEK-prized hackathon. 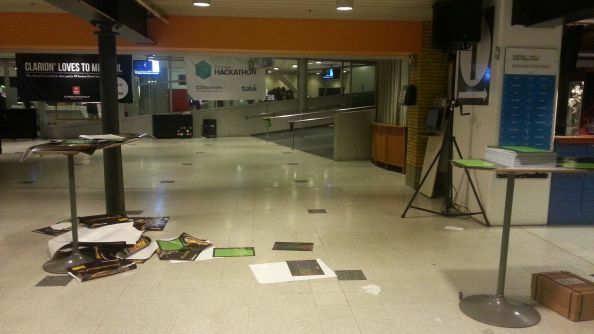 DreamHack started in a school cafeteria in Malmo. It was 1994, and DreamHack’s two co-founders didn’t have access to an internet connection. What they did have were computers, a modicum of coding ability and a name. 1997 was the first year the budding organisers hired an arena, and 750 LAN players dutifully turned up; a year later, that number was 2,000. This summer, DreamHack hosted 9,444 players and their PCs at the Elmia Exhibition and Convention Centre in Jönköping, where the event has found bi-annual lodging for over a decade. 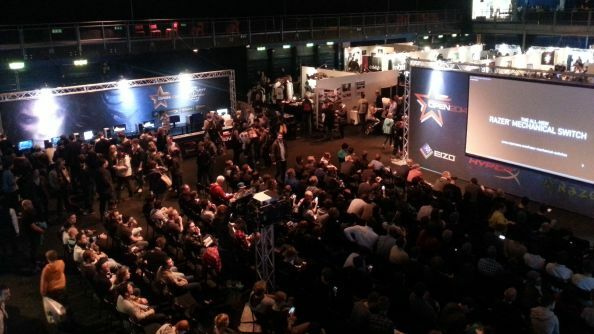 They’re expecting to top that figure this winter, when DreamHack will celebrate 20 years. DreamHack’s unlikely success has been helped along by Sweden itself, which Nyström describes as a “stronghold” for PC gaming. The Swedish state subsidised the purchase of powerful home PCs through employers in the ‘90s, and embraced fast broadband connections exceptionally early. Along with Assembly in Finland and The Gathering in Norway, DreamHack is one of the three biggest LAN festivals in the world. And as it enters its third decade, it now boasts a place in Scandinavian games culture not dissimilar to Glastonbury’s in UK music. Attendees still bring their own air mattresses and sleeping bags, and DreamHack dedicate a hall at the Jönköping event to rest. They do their utmost to persuade punters to shut down their PCs and bodies for just a handful of hours over the course of the weekend (“You’ll have a better experience”). The organisation swells to around 500 volunteers during events – but even now, employs just 18 full-time staff (“We are a small company doing big things”). When asked to nail down the event’s spirit, Nyström calls DreamHack a “celebration of all things internet culture”, and refuses to believe that better internet connections and improved netcode have displaced LAN for good. The classic image of DreamHack is row after row of PC monitors in the dark – and its organisers will continue to recreate that spectacle twice a year in Jönköping forever. But that isn’t what you’ll see in Stockholm. Here, the vibe is half-expo, half-broadcast studio. 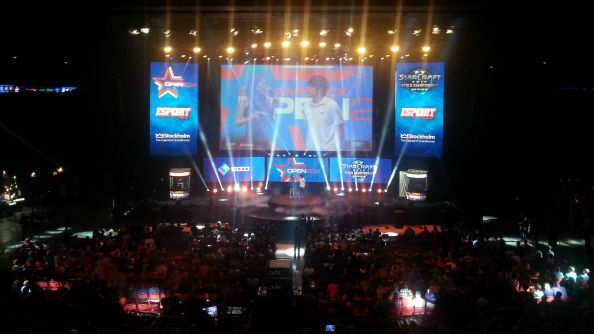 Counter-Strike claims the main stage on the first night, but a show floor bordered by high blue curtains hosts a handful at eSports at once. Commentators like Artosis watch the games on monitors. You wouldn’t know they’re sitting within shouting distance of their respective sports. In one corner, two Hearthstone pros play out a qualifying round of the World Finals in studious quiet – while ten metres away, WoW pros screech and swear. Their referee is forced to issue them an official warning for ‘manners’. The games’ streams find a combined audience of tens of thousands on Twitch, and DreamHack appear perfectly comfortably with the complicated set-up. Nyström insists that the company’s shift to eSports began long ago, with experiments in live streaming and staging. 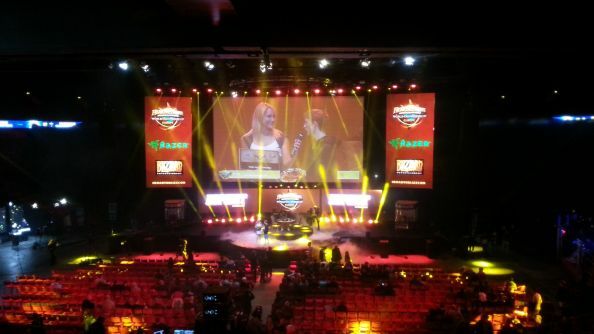 Now, DreamHack fields its own team. It runs a studio from Stockholm where, for five days a week, it produces eSports and gaming TV. And it’s built itself a reputation as an entertaining alternative to developer-run eSports, which can often prove a little dry. Nyström is certain that DreamHack’s love for the games they support shows up in the streams. “I know many of us can work on a Dota 2 production for 12 hours, and when we come home we watch a Dota 2 stream or maybe play the game,” he said. Artosis has been commentator and pro in both StarCraft and Hearthstone. He reckons DreamHack “put on the best show overall” in the eSports industry – and echoes Nyström’s sentiment that the organiser “doesn’t take itself too seriously”. Blizzard now regularly partner with DreamHack for events, and eSports manager Kim Phan is full of praise for their dedication and “creativity”. It’s evident that DreamHack are not only liked, but respected and trusted in a business that’s struggled with fraud and exploitation in the past. To hear Nyström talk, building that reputation has been a matter of bracing for a road that’s “sometimes quite bumpy”. The mistake would be to assume that the conservative design tweaks of developers like Blizzard and Riot will guarantee smooth, undulating tournaments. Instead, Nyström expects rupture and change at every bend. 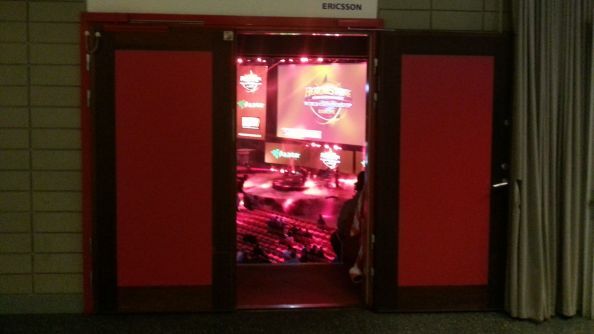 No eSport has ever been successfully foisted on its audience – and so DreamHack are forced to be reactive. If eSports fans put their weight behind a “super broken” game, then DreamHack will find a way to make it work competitively. It’s a job that comes with a colourful array of logistical problems. Flying in players and shoutcasters from all over the world can leave Nyström feeling like he runs a “travel agency”. And the work has only grown more complicated now that DreamHack has taken its place in the international eSports calendar, and must be in contact with other big organisations to prevent clashes. Nyström tells me that the age of the average attendee in Jönköping is 18ish, but the crowd here in Stockholm is far more varied than that mean would suggest. Plenty of parents have brought their children. Sleeping babes at the StarCraft finals wear noise-cancelling headphones like those of the pros, and one mother-to-be exposes her bump to the arena – as if hopeful that some of Soo’s crushing talent might transfer by osmosis. DreamHack are determined their events should be inclusive and friendly whether you’ve got two Titans shackled to your PC or not – and by the looks of it, they’re already winning. A recent push into cosplay has been, in part, a haphazard effort to balance out the gender ratio of DreamHack’s audience – which remains something of a “sausage fest”. DreamHack’s latest idea has been to reach out to Sweden’s indie developers, offering booth space for pennies and promoting their games on the front page of the organisation’s website. We have Vertigoat – a Doodle Jump clone controlled by punters babble into a microphone – to thank for the garbled, gregorian chords floating above the show floor. 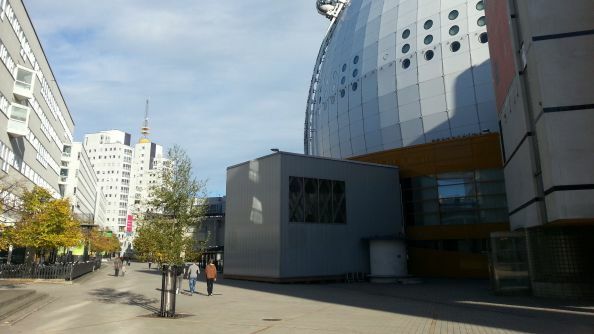 The future will hold more of the same: twice-yearly excursions to Jönköping, and “new flavours” of DreamHack in Stockholm, “with support from the city”. 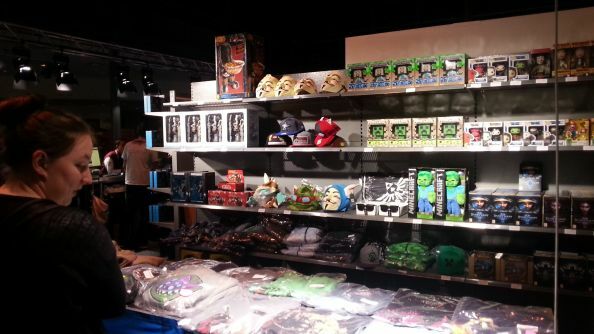 In whatever it does, DreamHack will always be reactive. For an example of how not to do it, Nyström points to 2005’s international Painkiller tour, which stopped at nine locations before its finals, held in New York and televised by MTV.